Thimphu has lots of restaurants, bars and cafes and its gastronomic range is much wider than of Paro. Thimphu being the capital city of Bhutan serves many kinds of cuisine primarily amongst which are Indian, Chinese, Bhutanese, Nepali, Continental etc. there are many eating options including upscale fine dining places, budget restaurants, mid-range restaurants as well as cafes and bars. Most restaurants in Thimphu have their own bars. There are many Karaoke clubs and discs in Thimphu and Tuesdays are dry days. The entry fee for most pubs and night clubs is between 200 NU to 300 NU. NOTE: Most nightclubs, mid budget restaurants and cafes won’t accept cards. Carry along cash with you unless you are going to a five-star restaurant or some select places like the Zone or Thija Café. Thimphu has very few Thai food restaurants and Ban Thai is one of the great ones. This place looks quite nondescript and it's very easy to miss it if you do not have any idea of its existence. However, inside it’s a different story as the food speaks for itself. There is no wi-fi and the washroom is passable but if you have come here for just the food, you won’t be disappointed. The Chef is from Thailand, which explains the authenticity of the food. All ingredients are organically sourced and the staff ensures the freshness of the dishes. There are a variety of interesting array of teas on offer like lemongrass tea, apple tea and green tea. If you are lucky…you also get a complimentary full pot of green tea along with your meal. The food is excellent and you must try the green papaya salad along with the sweet and sour chicken and the Thai rice. If you like spicy food, then you would love the beef spicy salad. I was hungry and cold and badly wanted some spicy soup otherwise I would never have discovered this restaurant…it’s hard to find. You need to really look out for the sign board from the main street. I had fried chicken ribs in BBQ sauce and hot and sour soup and both were excellent in a fiery way. The lighting was not good and the interiors can get cramped if there are too many people inside. There is a Karaoke place and a nightclub under the Amal banner that is next door and I could hear loud thumping music at 7 p.m. in the evening. The prices are very reasonable and I would recommend this place for a hearty meal if you are not too particular about the ambience. 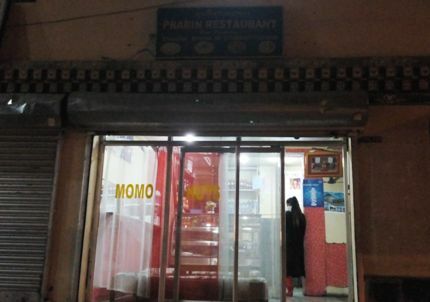 If you are a momo lover, you will love Zomba La 2 as it’s the most popular momo joint in Thimphu. 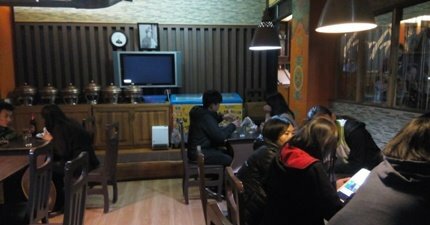 This small restaurant is always overflowing with customers and you will get to see lots of tourists along with locals. Both Bhutanese as well as Chinese food served here is excellent and there is a free bowl of soup with every mom plate you order. If you are a vegetarian, you will find a lot of interesting food options here (from pakoras to emma datsi to asparagus noodles) and that’s a rarity in Bhutanese budget restaurants (most of them have limited vegetarian food options). This is a pure veg restaurant that serves North Indian as well as south Indian food along with vegetarian momos. If you are a vegetarian then anyway, you will have limited options in Bhutan. Considering that the Prabin pure vegetarian restaurant is conveniently located next to most of the big hotels like Thimphu Tower, Norbuling etc… this is a good place to choose if you are a non meat eater or are simply craving for some dosa or Parantha. The aloo parantha there was good and very cheaply priced. They sell samosas and Pakoras too in case you feel like having some Indian snacks. The cook is an Indian though the manager is local Bhutanese person who is not very comfortable with English. This restaurant is very conveniently located near the clock tower. The owner Mr Tashi Norbu also owns a nifty Handicrafts Store downstairs, so going to the Bhutan Kitchen can become a shopping plus dining experience. 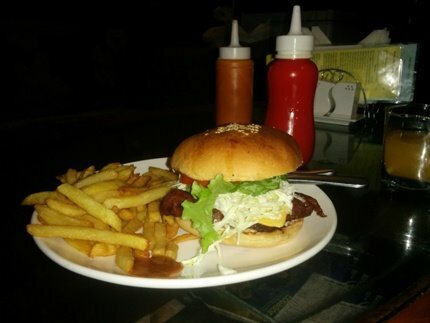 The restaurant is spacious, homely and has views overlooking Thimphu City and the football ground. The seating arrangement is mostly low with traditional wooden cutlery (as usually used in Bhutanese homes). Be careful if you have a back problem though as sitting on such low seats may aggravate it. Red rice, white rice, lentil soup, potato curry, chilli cheese curry (mushroom datsi), sautéed garlicky cabbage, chicken curry and chilly pickle. Each of these items were well cooked. I must specially mention the mushroom datsi as the creamy spicy concoction had a very unusual taste. Of special mention is the sautéed cabbage (normally I hate this vegetable) which had a nice garlicky flavor and none of that raw cabbage odor. The chicken curry and potato curry was pleasant though unremarkable and the chilly pickle is designed to burn mouths. A fine collection of Bhutanese artifacts that were on display. 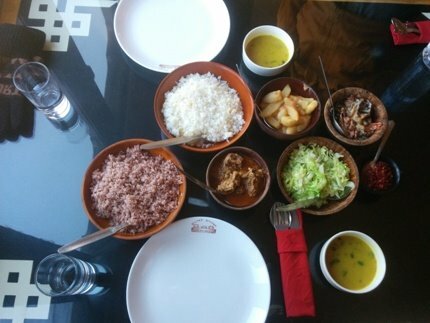 If you are in Bhutan… try out Red rice. Locals and Google say that its healthy…I don’t know about that but it sure has a delicious nutty flavor which goes well with their spicy cheesy curries. On the downside, a Bhutanese Set meal here costs 550 NU plus taxes (per person) which is a little pricey. The positives are great food and good service. Complimentary Suja/ Arra are also served in season. This is again one of my favorite places to eat in Thimphu City. It comes highly recommended by most locals as well as online review sites and I was quite surprised by its smallish size when I arrived. However, the interiors are warm and comfy and there is a super comfortable sofa which I luckily managed to grab. I ordered the Zone House Burger and I guarantee…If you are a meat lover you will fall in love with this. This was hands down one of the best burgers I have ever tasted. The combination of crispy bacon, tender beef, crunchy veggies and flavourful cheese instantly lifted my mood. The fries were fried perfect too. I didn’t try the Yak ribs but I grabbed a peek at it and it looked amazing!! The Zone is a homely pub which plays good music and has smiling cheerful staff. Surprisingly you would find posters of Lennon, Obama inside. Zone is a good place to people watch as a tourist of all nationalities hang out there. The pub is not very big and can get a little claustrophobic if there are too many people inside. 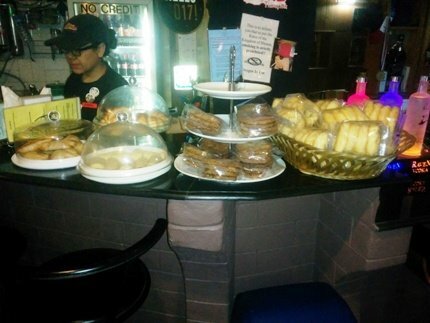 biscuits and savories which are home baked. I ordered a screwdriver which tasted a little bland to me (might be because of Raven Vodka in it) and personally I would rate my cocktail 2.5/5. Otherwise I had a great time and would highly recommend this place to anyone who visits Thimphu. Chaa’s looks like a cool bike stop from the outside and you will feel drawn to its tastefully decorated outdoor patio at the first glance. The inside is decorated by multiple miniature models of motor-cycles and this appeared to be the hobby of the owner (a well-known Bhutanese entrepreneur and bike aficionado). The chef uses completely locally sourced veggies and meat/ fish for the food and the spices are all organic. You can be sure that you would be eating a pesticide free healthy and hearty meal at Chaa’s. You can also try the Set Buffet meals…every day there is a variation and the items are invariably fresh and tasty. A top favorite here is the Carp Fish preparation that is suitable for both European and Indian palettes. This place serves rich home-made ice cream which is a must-have here. Thimphu Express Way, Near Doutor Tobgyel School, Thimphu. 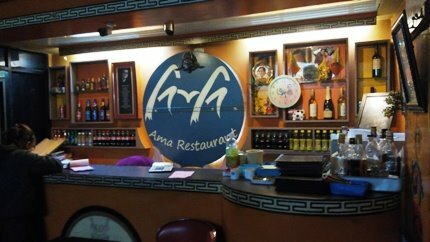 A very good place to go if you are fond of experiential dining and want to explore local Bhutanese cuisine and customs. This restaurant is on the Highway and is about 1.5 km away from the main town. The building is a 400-year-old Mud House run by a Bhutanese family. You would have to climb up two steep flights of stairs to reach the dining area and then sit on the floor (plumped by cushions and mats) if the lone two tables inside are occupied. If you have a back or a leg issue, then you might want to skip this one. 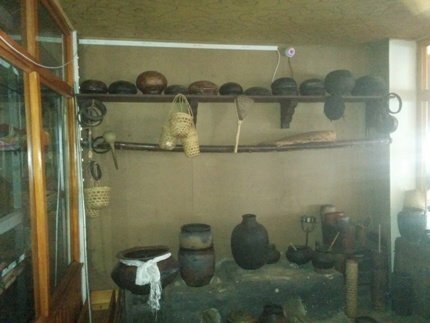 Food is excellent and served in traditional Bhutanese utensils. Don’t miss the glass noodle curry, Emma datsi, beef with glass noodles and pork veggie curry with red rice. The prices are on the steep side but it’s a different form of dining experience if you like to experiment!!! Taj Tashi, Wogzin Lam 12, Thimphu. Phone: 011 975 2 336 699. 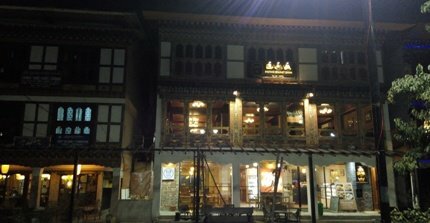 The Chig-Ja-Gye restaurant at Thimphu’s best hotel…the luxurious Taj Tashi is a ravishingly beautiful structure that marries conservative dzong architecture with modern architectural elements. It offers 360 degree views of the nearby Thimphu mountains and inside the restaurant, you can see gold leafed paintings and beautiful dhungs along with majestic trumpets in sharp contrast with modern luxurious seating arrangements. Chig-ja-gaye means 108 earthly temptations and gluttony and greed feature amongst them. In an interesting Oxymoronic way, Chig Ja Gaye offers a delectable spread of Bhutanese dishes. There are separate menu options for vegetarians and non-vegetarians and the staff are extremely well behaved and helpful …complete commensurate with the high standards of Taj. Le Meridien (lobby level), Chorten Lam, Thimphu. Phone: +975 2 337788; Hours: 9 a.m. to 10.30 p.m. If you truly want to experience international cuisine in a modernistic exclusive ambience then Latest Recipe, the restaurant at the Lobby Level of Le Meridien is your answer. Thimphu’s finest multi cuisine fine dining option has the capacity to seat 78 people but in season times, the restaurant is packed. Norzin Lam | Opposite Druk PNB Bank, Thimphu. This is one of the most popular cafes of Thimphu and is also one of the few breakfast and brunch places in the city. The ambience is warm and casual and the staff is friendly and helpful. The portions are quite large and the prices are on the higher side. The menu is diverse with everything from hummus to pakora to spaghetti and carrot cake (this is a hot favorite here). I tried the Hummus with Pita bread and salad and it was light and delicious and really soothed my taste buds. The coffee selection looked interesting too. If you sit at the furthest corner of the café, you can see the clock tower and relax. There is also free w-fi. Again, a very good place for people watching as tourists of all nationalities as well as locals drop in. This is your Go-to place in Thimphu for a hot cup of coffee if you are tired of all the shopping. However, you must be observant as the sign board is not that prominent and you have to climb up on the first floor of the Zham Ling building. Inside there is a nice lounge area and a smoking room (big blessing for smokers as it’s rare to find this in Bhutan). The Banana Cake, Fish and Chips and the array of smoothies and juices along with a fine selection of Coffee’s will tempt you into having a long-ish snack. Stay away from the bread based items though as the bread tends to be a little dry and flaky at times. A cup of coffee here costs 110 NU so it’s a bit pricey but nevertheless the ambience and relaxed vibe makes up for it. If you have a sweet tooth, then do go about visiting the Art Café once in your Thimphu visit. Locals vouch for the quality of the confectionery available in this café and it is a hot favorite amongst tourists of all nationalities. There is an old fashioned wooden stove inside that adds to the charm of the ambience and keeps visitors cozy. The menu has a nice range of salads so you might want to try those if you want to balance out your calorie intake. The brownies and peach puffs at the Art Café are delectable. This is one of the few brunch and breakfast places in Thimphu (though the shop remains closed in off season). If you visit during high season don’t forget to order the sausages. You can’t miss this Café… it's right there besides the Hotel Thimphu tower in the happening social square of Thimphu. Thija Café is one of the best places in Thimphu to have breakfast and brunch and it’s at a very convenient location. This café opens at 8 a.m. and offers an appetising selection of breakfast spreads. Do try the platter of scrumptious multi grain toast with eggs cooked in your preferred choice and salami along with potato roast (all this is for only NU 250). Interestingly, Thija Café is one of the few places in Bhutan to serve both fantastic coffee and liquor. Just check out the exclusive arrays of cocktails on offer at Thija. The location makes this place perfect for a leisurely cup of coffee or a relaxed drink. Unlike most other cities in Bhutan, Thimphu has a night life. That being said, nobody really visits Bhutan for its happening bars and nightclubs so and it’s not fair to expect Tokyo or NY style nightlife here. However, there are many great night clubs and bars which can give you a fair adrenaline rush and a glimpse into the social scenario of the Dragon land’s capital. Easily the top choice amongst Bhutanese localities here, you won’t find too many tourists inside Space 34. The music selection is interesting as there is a mixture of American Hip Hop, Bolly remixes and local music. The atmosphere is completely casual and you can go dressed in the weirdest outfit and still have plenty of company. If ambience is important to you then you will like the smart modern décor at Zest Bar & Lounge. Conveniently located, this lounge bar has a separate section for company events and parties. There is an interesting array of Cocktails available at Zest but the icing on the cake is the super Beer fountain that can bring a smile to any beer lover’s face. 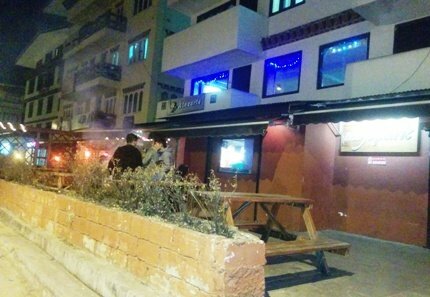 Mojo Park is a truly westernised club with a good tourist draw and a completely westernised ambience. There ae live musical nights which have become extremely popular amongst the locals and special Karoake nights on Thursdays. There is a lot of demand for the Mojo special range of Cocktails and their famous fish and chips. Mojo Park is right beside the Zone so you can club in a visit to both these places on the same day. Don’t forget to participate in one of their Karaoke sessions if you get the chance.